Hey everyone! Mandee from The Kitchen Wife here and I have a GREAT recipe for you today, Oven Chicken Fajitas. 1 lb Boneless Skinless Chicken Breast, cut into strips. To begin you will need to preheat your oven to 400 hundred degrees. Place the chicken, pepper, onion, and garlic onto a lined baking sheet. Now drizzle on the oil. Yes, Yes, I know I'm using a spray in this picture, but when I went to make this I realized I was out of oil so, Just like Julia Child, I improvised. Toss everything together with your hands until the spices coat everything! 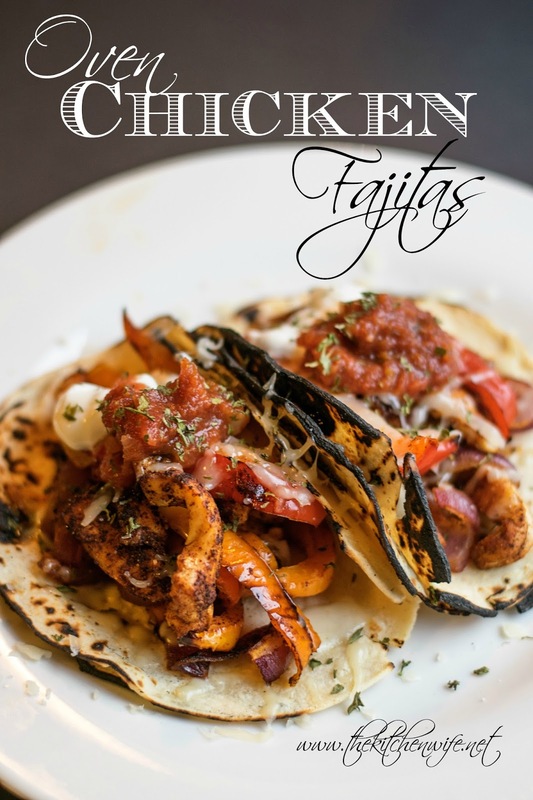 Just before your fajita mixture is about to come out of the oven, you will want to warm up your tortillas. You can do this in the oven by wrapping them in foil, or in the microwave, but my personal favorite way is to place them over the open flame of my stove for a few seconds until they are tender and slightly charred. Then I place them in foil. 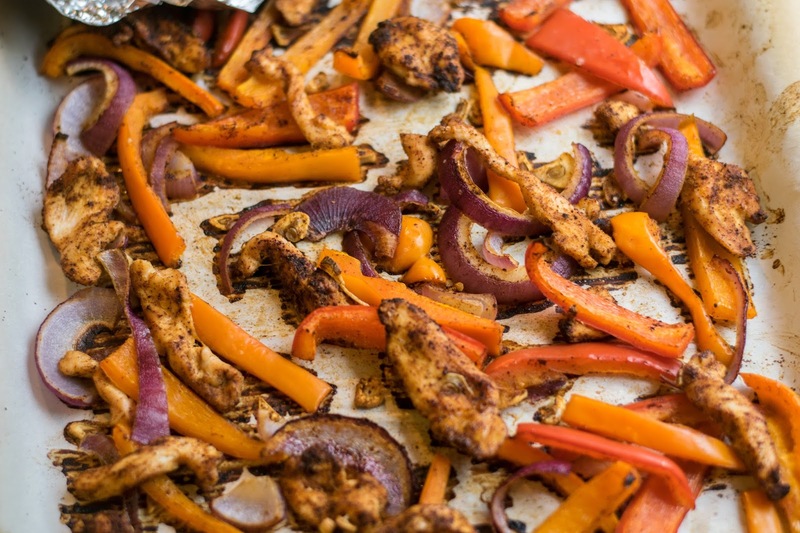 After 30 minutes your Oven Fajitas will be ready to go! Place the chicken, peppers, onion, and garlic onto a lined baking sheet. Drizzle the oil over everything and season with the salt, chili powder, and cumin. Toss everything together until everything together until it is coated with the seasoning. 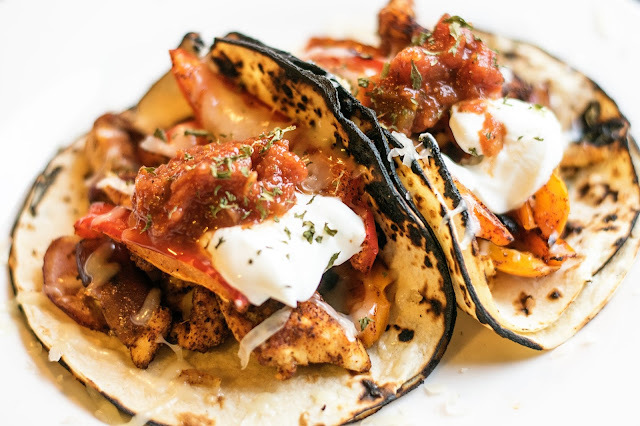 While the fajita filling is cooking, you will heat your tortilla shells. Once the filling is finished cooking, assemble and add the toppings of your choice.